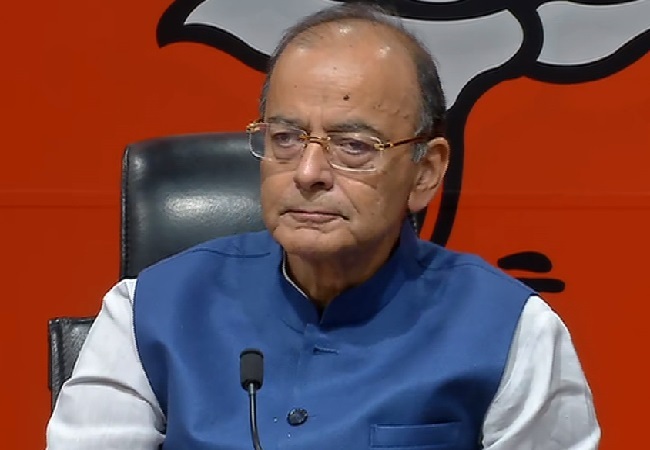 New Delhi [India], Apr 5 (ANI): Finance Minister Arun Jaitley on Friday hit out at Congress president Rahul Gandhi for keeping silent over the charge sheet in AgustaWestland deal case. At a press conference here, Jaitley said, "Rahul Gandhi talks on several subjects. He makes wild and unsubstantiated allegations against all and sundry. Now, who are ‘RG’, ‘AP’ and ‘FAM’ mentioned in the chargesheet in the AgustaWestland case." "Are ‘RG’, ‘AP’ and ‘FAM’ fictional characters or were they in a position to influence the deal? ", questioned Jaitley. Hitting out at the Congress President, Jaitley said, "How come every time there is a controversial defence deal and evidence is collected, names close to the Congress Party’s first family start appearing?" Citing the example of Bofors case, Jaitley said, "Alphabet ‘Q’ appeared in Martin Ardbo’s diary in the Bofors Case, with a comment that ‘Q’ must be protected at all cost, the Congress party was in denial even then."